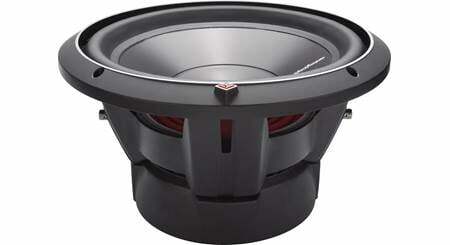 MTX's 55 Series subs give you huge boom for the buck, and the 5512-44 12” subwoofer epitomizes that mindset. 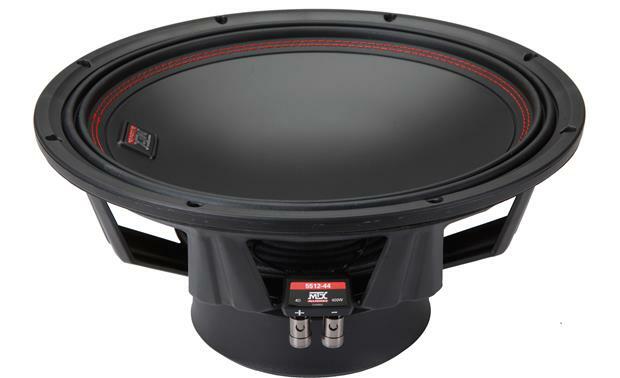 MTX's 55 Series subs give you huge boom for the buck, and the 5512-44 12” subwoofer epitomizes that mindset. 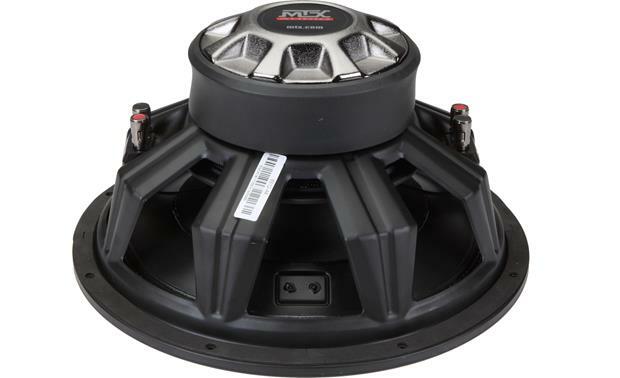 MTX worked hard to build a high-performance sub that adds tons of bass to your system without emptying out your bank account. And MTX protects this sub with a 2-year warranty. 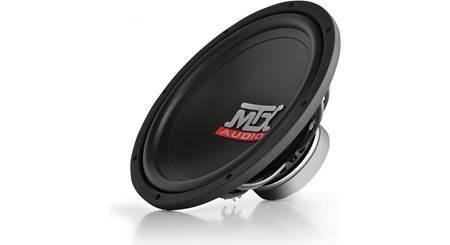 MTX squeezes an oversized cone into the standard 12" frame, so the sub moves more air and gives you more bass. The woofer's movement cools the sub as it plays, so it doesn't overheat when you're rocking out. 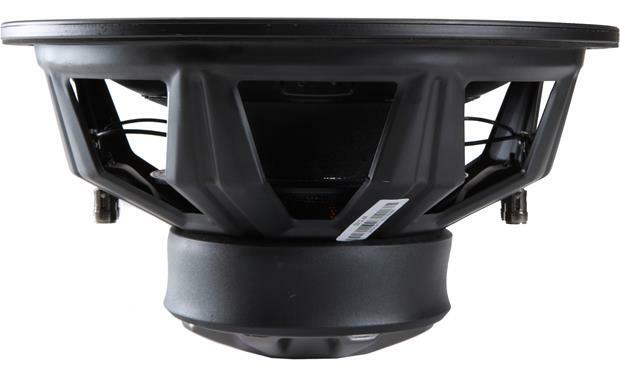 The special suspension exerts extra control when you're pushing the sub hard, so it'll handle up to 400 watts RMS. Its dual 4-ohm voice coils make it easy to connect to a mono amplifier. 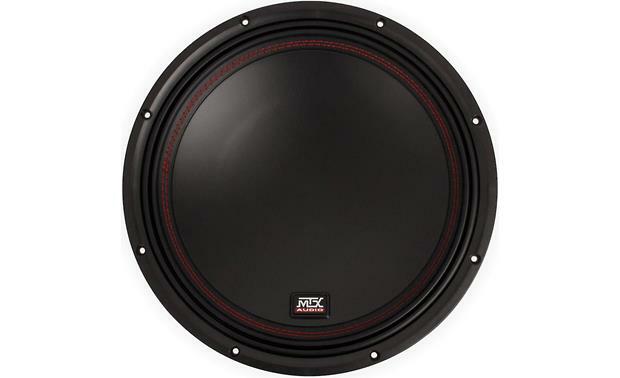 Dual 4-ohm Voice Coils: This woofer features dual 4-ohm voice coils, offering wiring flexibility. When the voice coils are wired in parallel the woofer presents a 2-ohm load. When the voice coils are wired in series the woofer presents an 8-ohm load. Sealed Box: For the best possible sound quality where space is a premium MTX recommends a sealed enclosure with an internal volume of 1.0 ft³. Sealed enclosures provide the most control over a woofer, will handle a lot of power, and provide accurate sonic reproduction, making them suitable to all types of music. Vented Box: The recommended vented box has a net internal volume of 2.32 ft³ with a slot port 13-3/4" x 2-1/2" x 26-1/4". Vented (or ported) enclosures typically provide better overall efficiency than sealed so they are suitable for use with smaller amplifiers, giving you more bass output from less power. Will a crunch monoblock amp work with these? Thanks for your question. For information on selecting the best amp/sub combo I would recommend reaching out to an Advisor by phone (1-800-324-9695) or online chat. 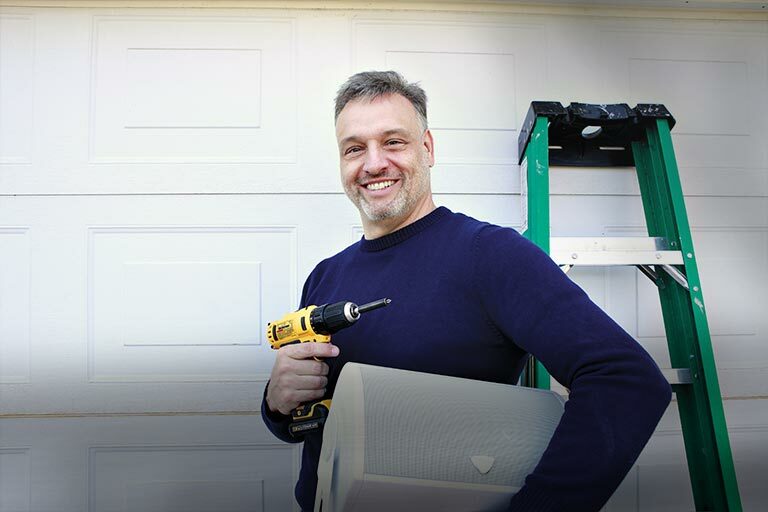 They will be able to help determine what's compatible and help you make the best choice for your system. 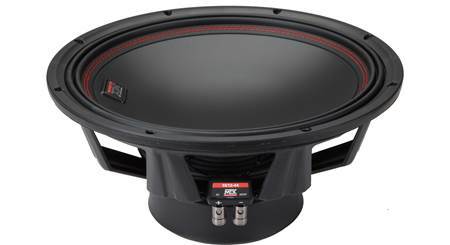 Will a Rockford fosgate 1200w 2 channel amp work for this? 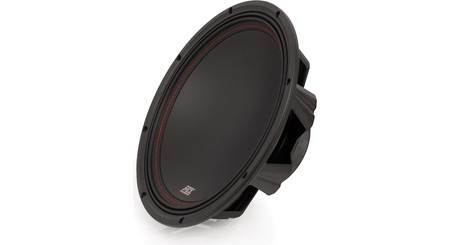 Does anyone know if a mtx jh300 will push this sub or will it be to underpowered? The JH300 will power this subwoofer. If you wire the voice coils in parallel you present a 2-ohm load to the amplifier. This will get you 300 watts for the subwoofer. It's not the max that the sub can handle, but certainly within the usable range. 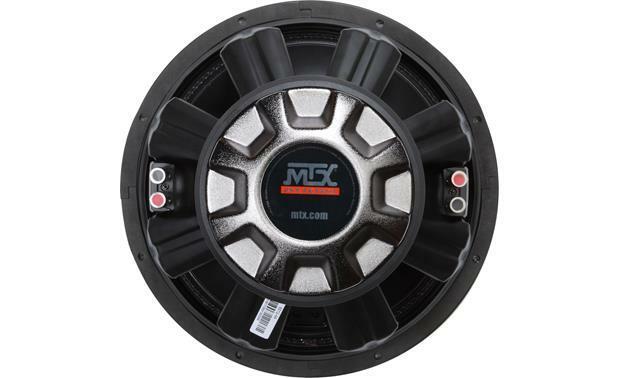 Searches related to the MTX 5512-44 55 Series 12" subwoofer with dual 4-ohm voice coils.